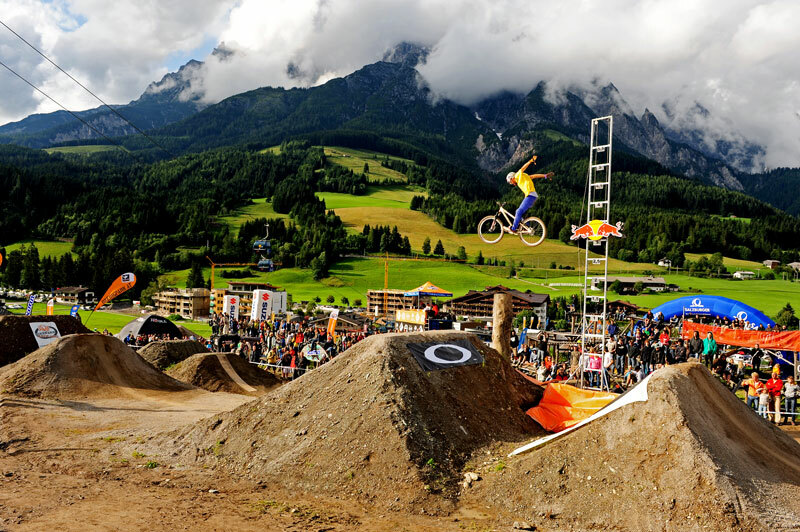 The Leogang Bikepark hosts the Out of Bounds Festival, Austria’s biggest freeride mountain bike event, for the seventh year in row. From June 24th to 27th a unique combination of mountain bike competitions is waiting for the freeride fans: the iXS European DH Cup, the legendary 26TRIX dirt jump contest as well as the grand final of the brand new Euro Fourcross Series. 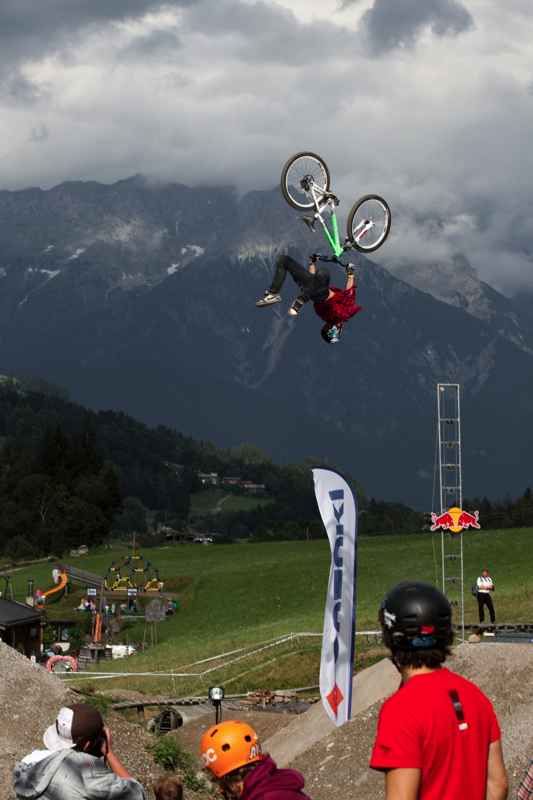 The fifth anniversary of the 26TRIX promises best dirt jump action in the center of Europe. The 26TRIX has always been pushing the trick level forward since its first edition in 2006, when Gregg Watts was the first one to nail a double backflip during an international competition ever. The xxl-sized jumps that had been added to the 26TRIX course last year guarantee massive airtime that has not been seen often before. Only a few of the pros from all over the world took the chance of this second line last year: Graham Aggassiz (CAN), Andreu Lacondeguy (ESP), Greg Watts (USA), Pierre Eduard Ferry (FRA), Darren Berrecloth (CAN), Sam Pilgrim (GBR) or Simon Kirchmann (GER). Let’s see who takes the challenge in 2010. The 26TRIX is part of the Freeride Mountain Bike (FMB) World Tour this year and therefore the biggest names will be invited to Leogang. In the past, most of the big players in the global scene had already taken the chance to join the 26TRIX: Grant Fielder (GBR), Jamie Goldman (USA), Trond Hansen (NOR), Darren Pokoj (AUS), Cam McCaul (USA), Benny Korthaus (GER), Alex Pro (CAN), Martin Söderström (SWE), or Yannick Granieri (FRA) to name only some. All gravity fans can also look forward to two big comps on the Out of Bounds Festival agenda: the iXS European Downhill Cup is hitting Leogang again, but also the grand final of the brand new Euro Fourcross Series. 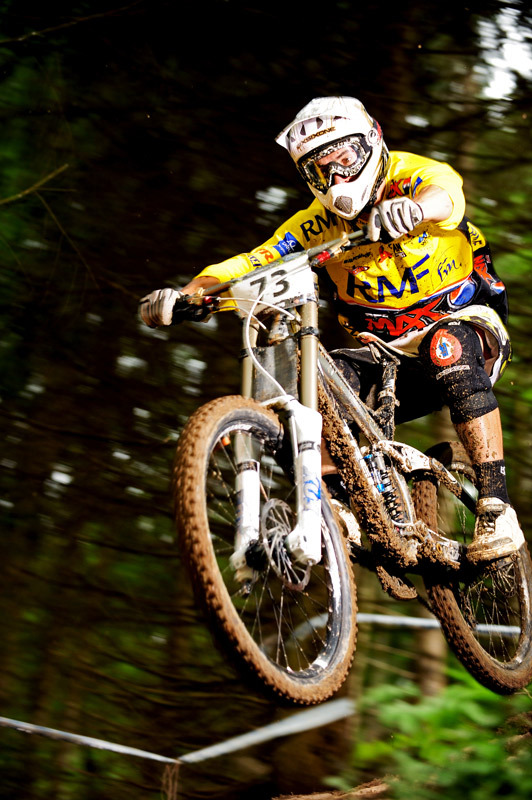 Feel free to register on www.ixsdownhillcup.com to take the chance on the challenging “Speedster” DH track in Leogang. 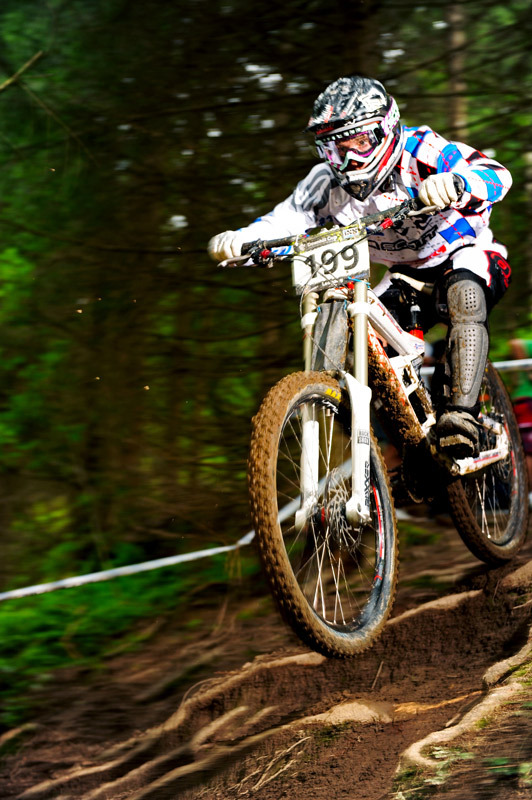 The Euro Fourcross Series accreditation will open soon, too. At the same time you can enjoy the gravity action as a spectator. The gondola and other trails are open, as well as the tickets are reduced by 30 percent during the Out of Bounds Festival days. An almost legendary side program features BBQs, a Bunny Hop contest, an exhibition area and a hard rocking after party with a huge crowd of people dancing and probably going crazy like last year. 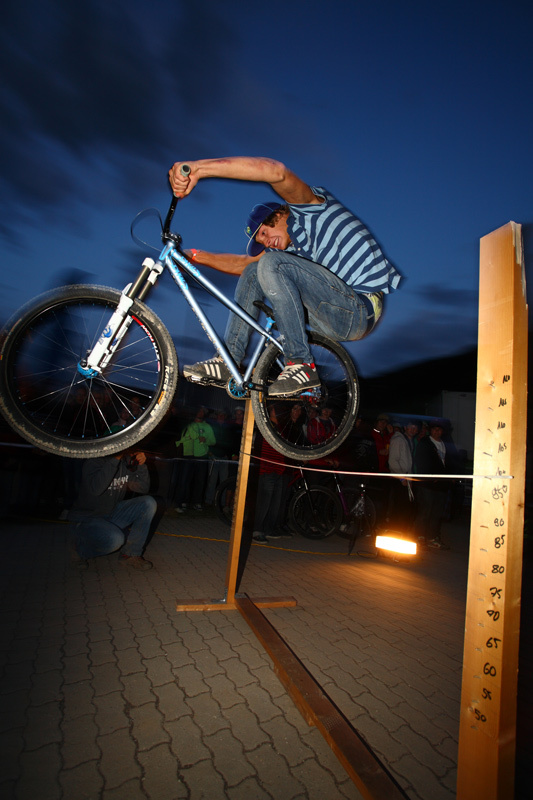 In 2010, the Out of Bounds Festival is promising four days packed with freeride action and is brought to you by the long term partners Kona, iXS, One Big Park and Saalfelden Leogang Tourism. Everyone who was bummed to have missed last year’s Out of Bounds Festival should definitely mark this extended weekend in his or her calendar. 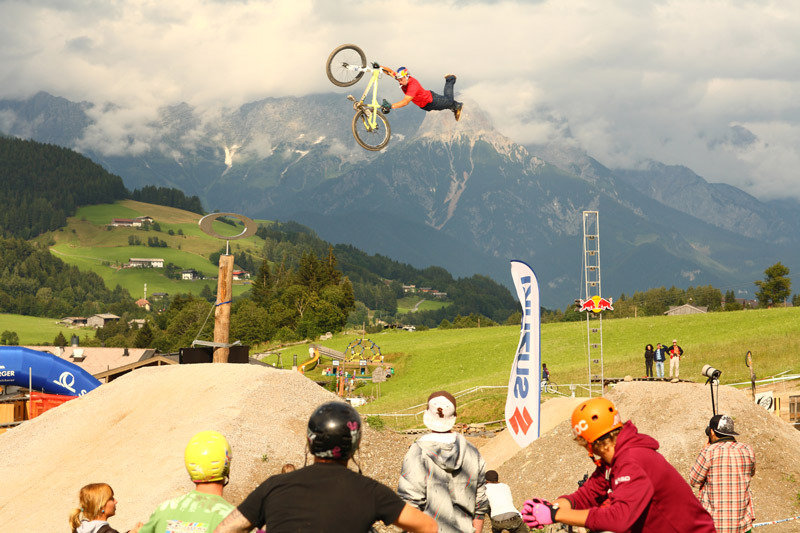 Take your chance, watch the world’s best dirt jumpers on Bikepark Leogang’s huge doubles, downhill racing at its best, head to head battles on the brand-new track during the Euro Fourcross Series, or just party hard with locals and pros at the after show party on Saturday night. Be there or be square!